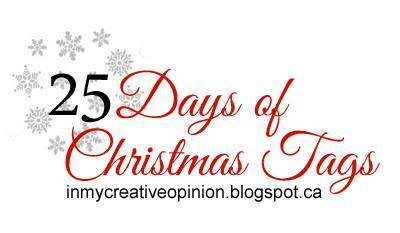 Today I'm super excited to be joining in the fun of the 25 Days of Christmas tags! It is such a cool & inspiring event and it has been so fun to play along! 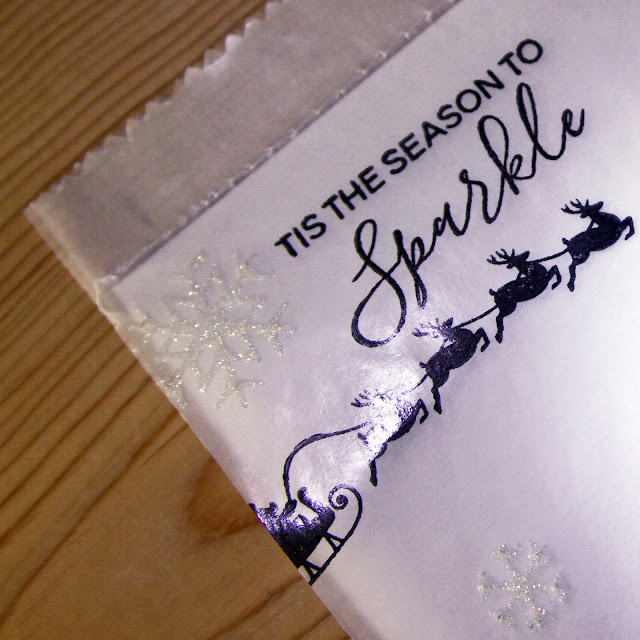 For my tag, I created something white & sparkly! 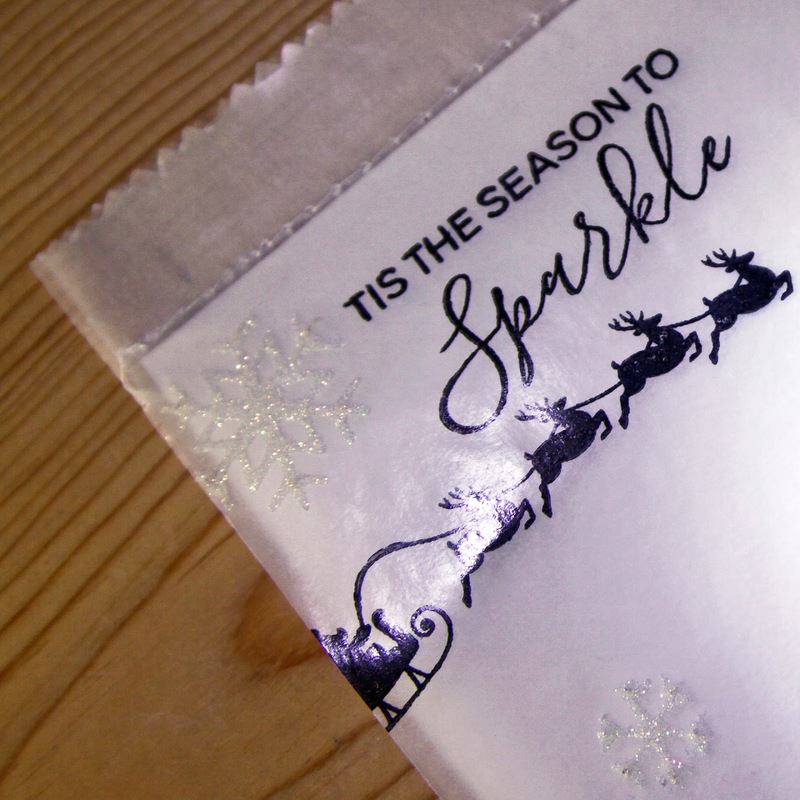 I started with a little rectangle of white cardstock and then created a little glassine wrap. I used the Goodie Bag guide to create the pinked edge on top. I love that thing! Then I stamped the sentiment & Santa on the glassine with Stazon. 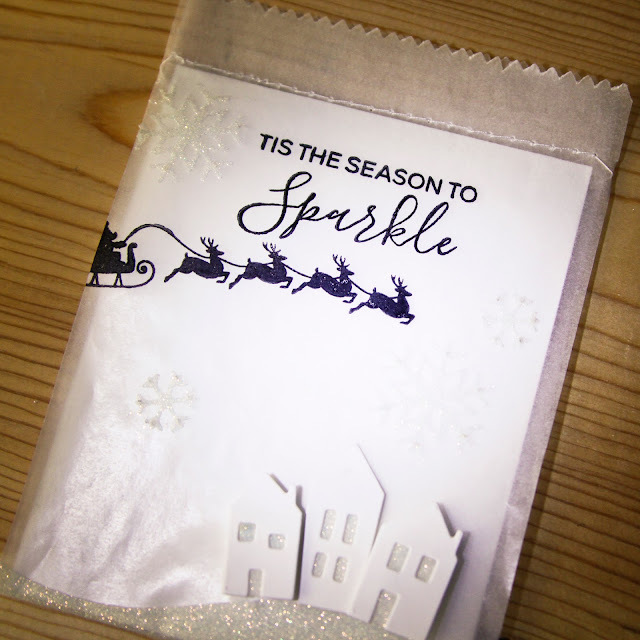 The snowy hill & snowflakes are made by die cutting double-sided tape, applying it to glassine and then adding glitter. The little houses are cut from white cardstock with double-sided tape & glitter windows. I love the sparkly white look and it was super easy to tuck a gift card in the back (with a little removable adhesive for security). A big thank you to Tracey for creating this awesome event and asking me to play along. Make sure you check out her blog to see more! Carly Tee your glassine bag-tag is adorable! I just received that glassine paper pack ... curious what else you might do with it! I must be on the lookout for more! It just makes me smile! 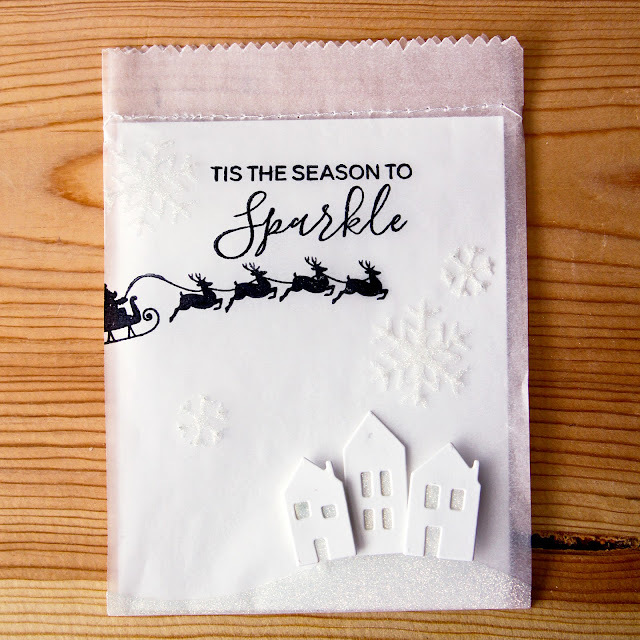 LOVE this tag - I may use it as inspiration for my Christmas cards his year if you don't mind! 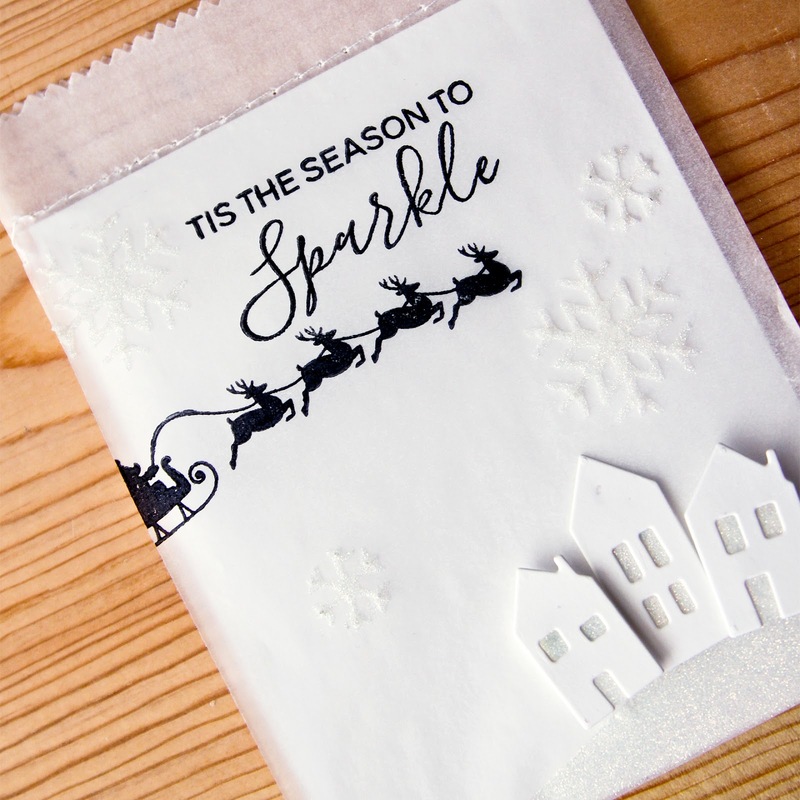 Die cutting double sided tape - GENIUS idea! Why didn't I ever thing of that?!! 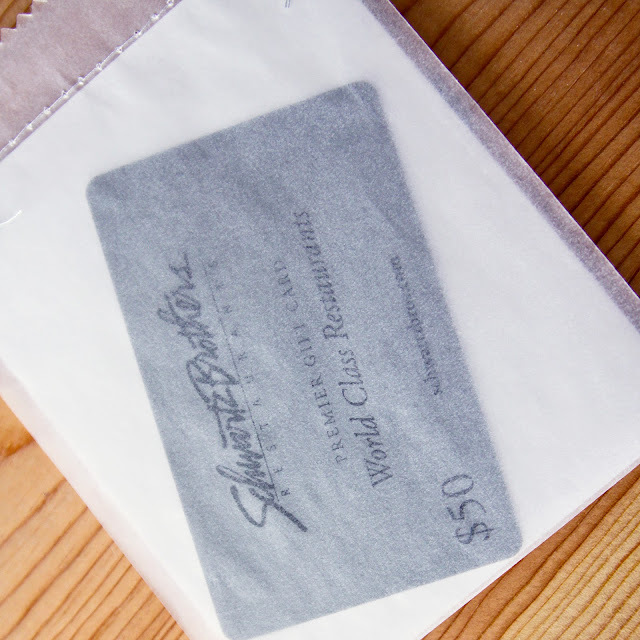 I love tags that feature Santa in his sleigh! Yours is ADORABLE! and the snowflakes are a fun idea. Love the idea of the glassine bag... so clever and lovely. Wow! Such a beautiful tag!! Love the glassine bag!